Download "Issue Brief. Arizona State Senate. 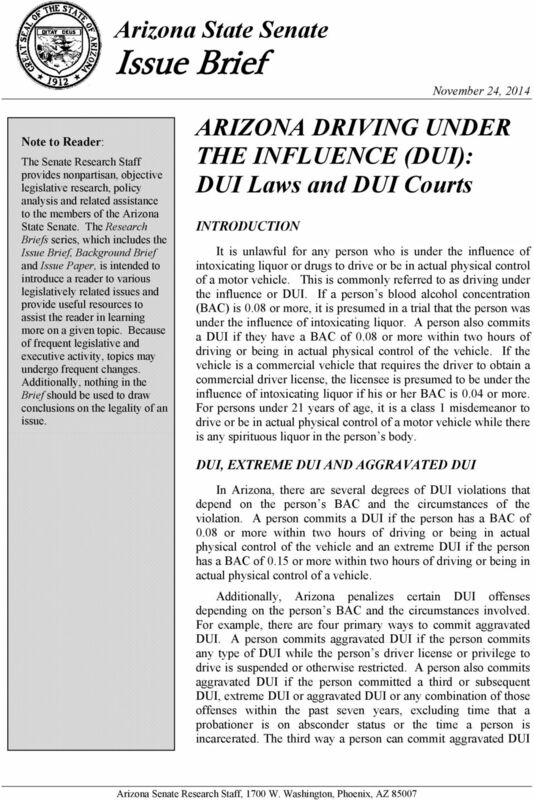 ARIZONA DRIVING UNDER THE INFLUENCE (DUI): DUI Laws and DUI Courts INTRODUCTION DUI, EXTREME DUI AND AGGRAVATED DUI"
5 Arizona Laws and Courts 5 1. Can be reduced in some cases see alcohol other drug screening, education treatment. 2. Assessments that are deposited in the PCOF the PSEF are not subject to surcharges. 3. 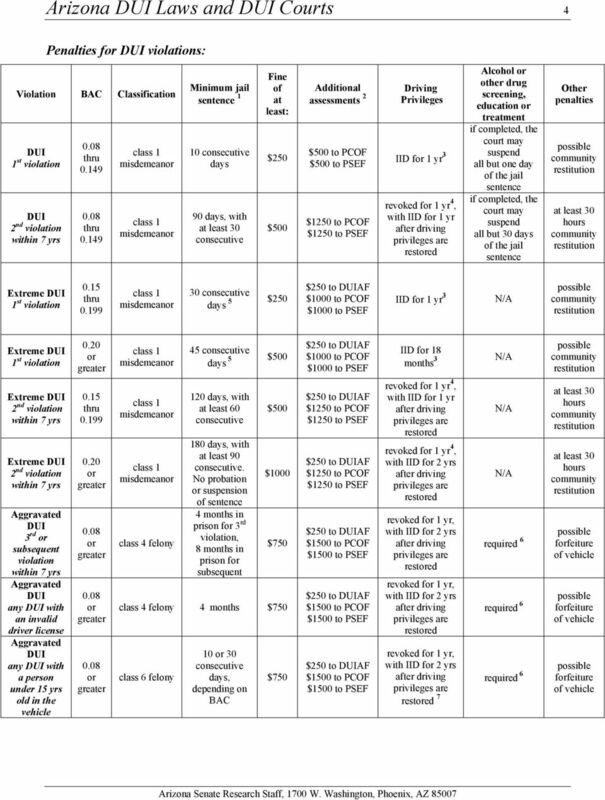 A person whose license is suspended f a first offense, extreme, refusal to submit with someone under the age of 15 in the vehicle may be eligible f a special ignition interlock restricted license if certain criteria are met. 4. 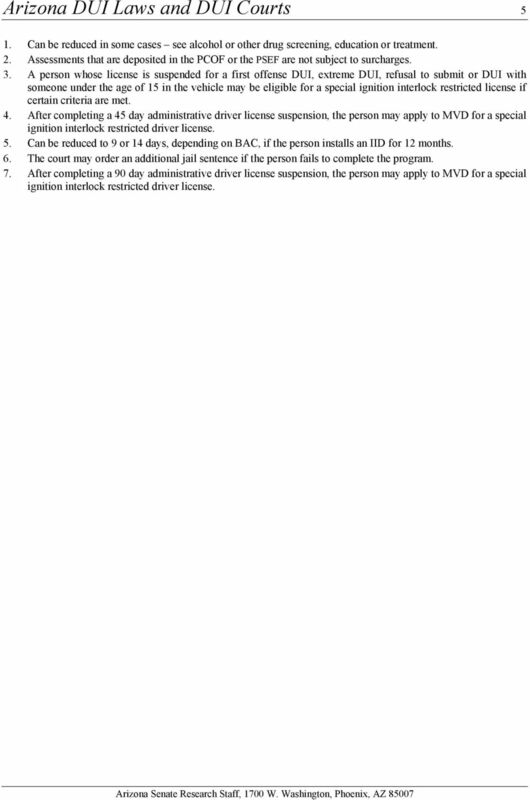 After completing a 45 day administrative driver license suspension, the person may apply to MVD f a special ignition interlock restricted driver license. 5. 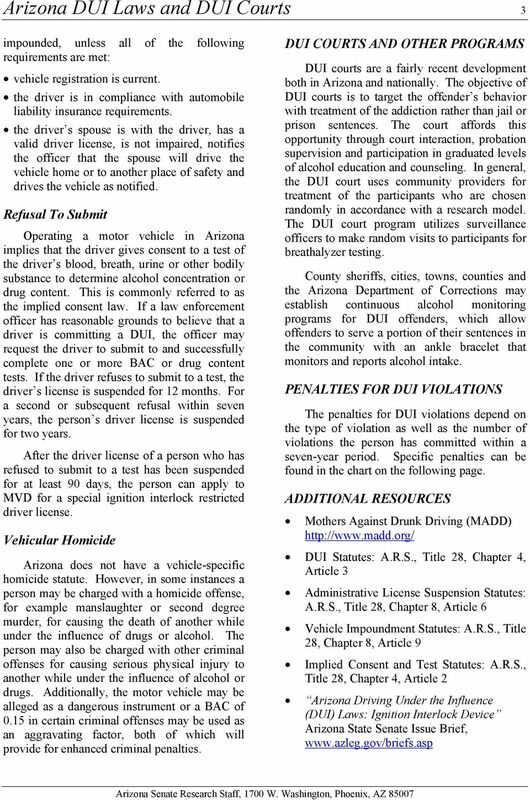 Can be reduced to 9 14 days, depending on BAC, if the person installs an IID f 12 months. 6. The court may der an additional jail sentence if the person fails to complete the program. 7. 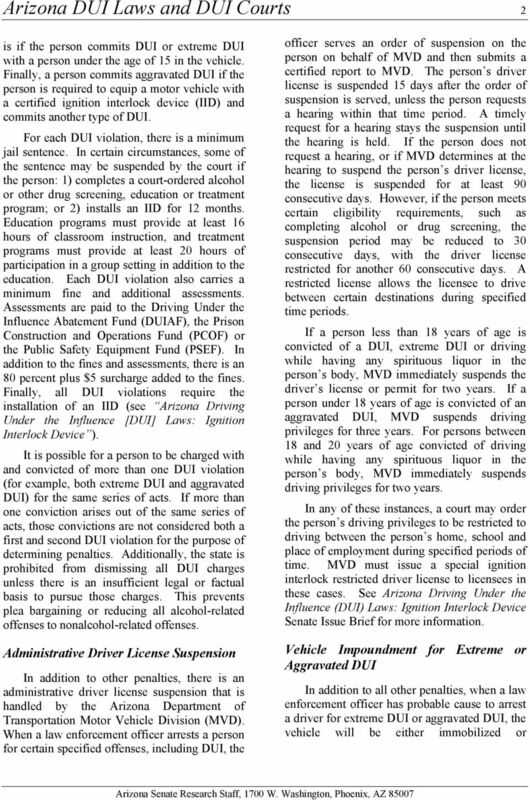 After completing a 90 day administrative driver license suspension, the person may apply to MVD f a special ignition interlock restricted driver license.